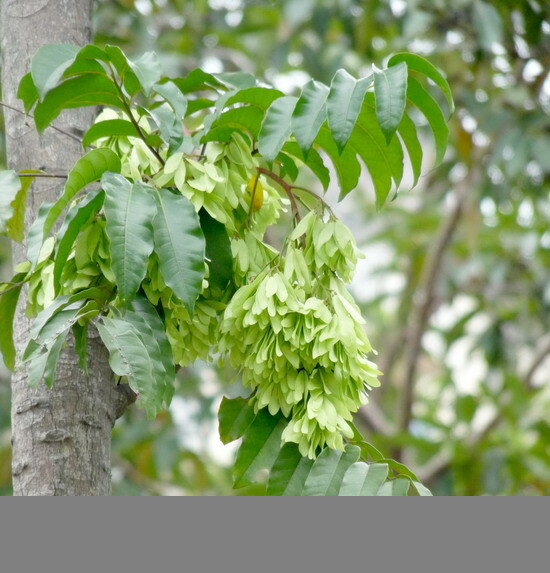 Dioecious trees are quite common in Hong Kong and most people do not pay much attention. Usually we just know that fruiting trees are female and male just flower but do not fruit. Then, how to identify them at other times of the year? Ailanthus (Ailanthus fordii) are tall trees with a straight trunk and umbrella-shape of apical foliage. It can be easily identified from afar. Its Chinese name consists of the word “stinky". 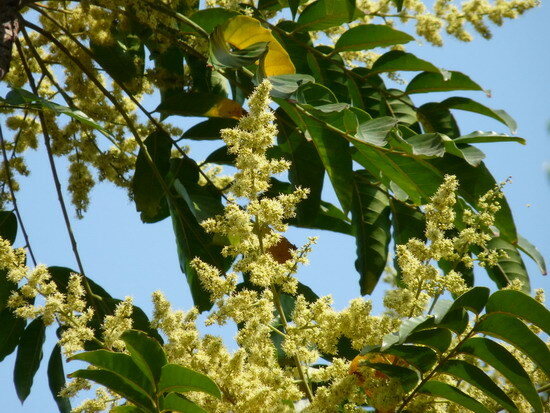 The odor actually comes from the male flowers. The seniors point out that the odor is very unpleasant. We generally do not care to inquire if the tree is male or female. However, when it comes to the specimen tree, female is preferred. I rambled in Lai Chi Kok Park when it fruited in winter. Incidentally, I counted the number of Ailanthus there. It’s a total of 36; 14 female and 22 male. Its odor comes from the male and I am a bit curious of how stinky it is. Unfortunately, the trees are too tall and the flowers are too high up for me to sniff.